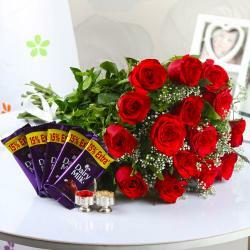 Product Consist : 12 Mix Yellow Flowers Basket, 500 Gms Assorted Sweets along with 2 Holi Colors. Holi is a Hindu festival that marks the arrival of spring. Known widely as the Festival of Colour. 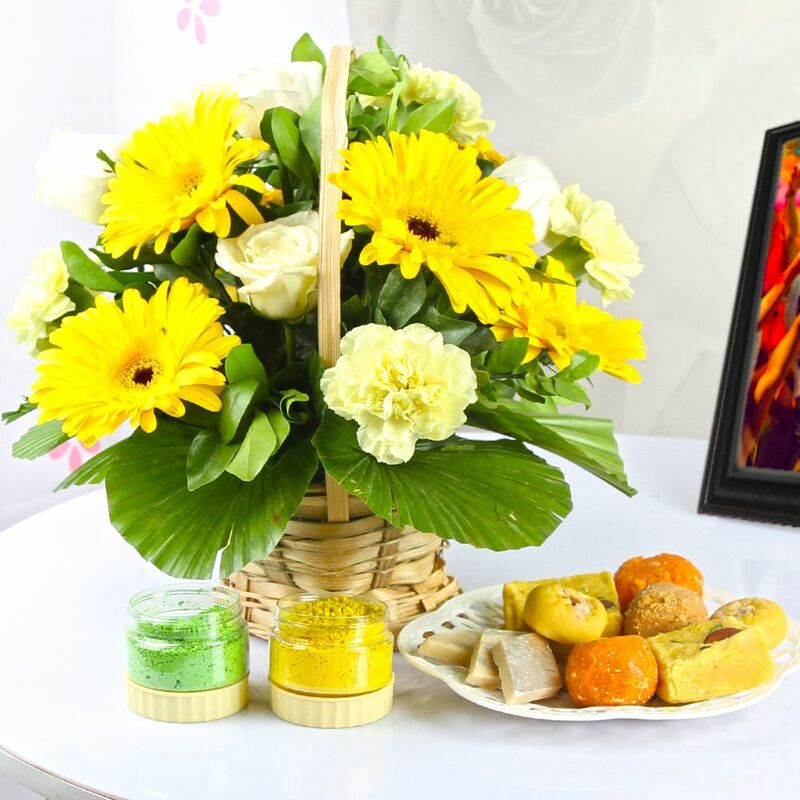 This hamper is one of the nicest thing to have and if your special one is receiving from you so what to say it is a memorable moment for receiver to feel the love with Mix Yellow Flowers with Assorted Sweets and Holi Colors. Flowers is symbolic gifting item for caring love and it should be reserved for those with whom you have a good relationship. However on other hand, signify true feelings so make a lovely holi for a family member or for friend. The perfect way to add a little sparkle to someone's day. Best part is that now you can just order online and have them delivered almost anywhere in the same day. Willing to send something colorful gift hamper to your dear ones on the festival like Holi, If yes then this is the best place to get the widest collection of online Flowers for Holi to gift. This combo is presented as gift to any one like to your Wife or Husband and many more who is far from you. This gift is exclusively available at Giftacrossindia.com only. Browse your favorite products, it is very conveniently available for online shopping from anywhere in India with Free Shipping. 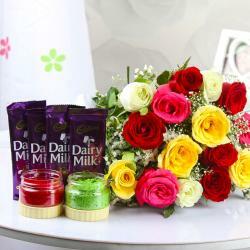 Product Includes : 12 Mix Yellow Flowers Basket, 500 Gms Assorted Sweets along with 2 Holi Colors.